Only a month later, Shannon told Friedman she had “tons of toiletries and cosmetics in my office. 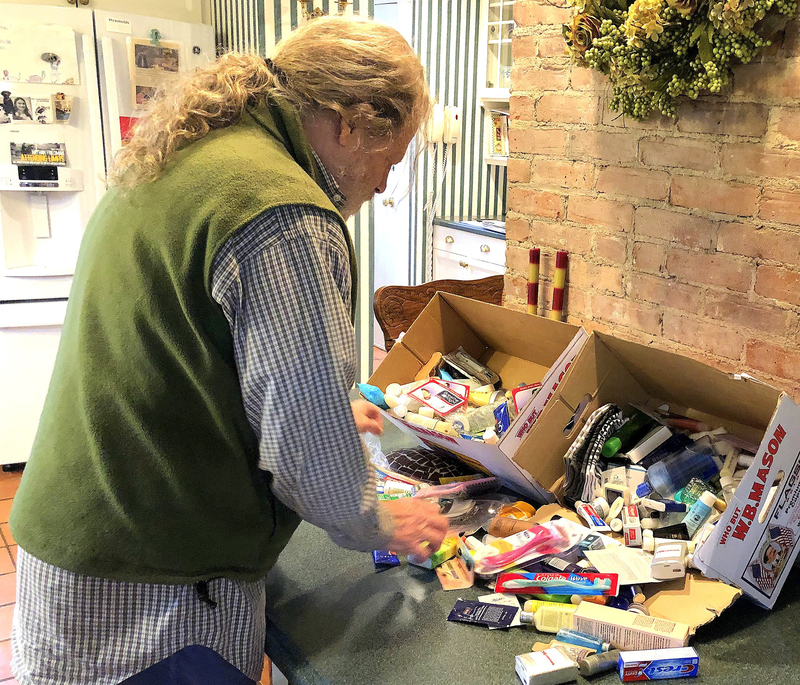 Please pick up.” When he came over, she gave him three heavy boxes of hotel-sized toiletries and cosmetics, packed to meet the needs of people living way below the poverty line. “I’m happy to help in this very small way,” Shannon said, adding that she received donations from faculty and staff across the university and will send out another email. Shannon quickly learned that it was fun and easy to collect toiletries and cosmetics, Friedman said. “That’s why I’m encouraging Livingston’s service and religious organizations, along with schools, to conduct a Trish Duffy Toiletries & Cosmetics Challenge of their own. Individual donations, the cornerstone of the drive, may be dropped at the West Essex Tribune, located at 495 South Livingston Avenue, next to ShopRite. For private pick-up of toiletries, family clothing, shoes and more, residents may email Friedman at njhomeless@aol.com. On behalf of Livingston Philanthropies, Inc., “Providing for the Poor, Homeless & Disenfranchised Since 2011,” Friedman shared two requests for consideration by Tribune readers. His second request is for a volunteer to create a website for LPI. He has all the content required including photos, verbiage, logo and more. Volunteering one’s time and skill in this regard represents yet another way to work with Livingston Philanthropies in a substantive role. “Email me at njhomeless@aol.com if you would like to be a part of our forward-moving philanthropic initiative,” he said. “Let us reflect on the words of the English romantic poet, William Wordsworth (1770-1850) who said, ‘The best portion of a good man's life: his little, nameless unremembered acts of kindness and love,’” Friedman concluded. Photo: Montclair State University’s Denise Shannon recently collected toiletries and cosmetics campus-wide for the Livingston Philanthropies, Inc. (LPI) “Trish Duffy Toiletries & Cosmetics Challenge.” Shown, LPI founder and director, Jeff Friedman, looks at the successful outcome of Denise’s initiative, which is ongoing.